Hautlence introduces its first tourbillon, powered by a self-winding movement manufactured by its sister company H. Moser & Cie.
Just weeks after the Concept d’Exception Vortex was introduced, Hautlence has taken the covers off the Tourbillon 01, its first timepiece with a tourbillon regulator. Conventionally round in form, unlike the brand’s signature cushion-shaped timepieces, the Tourbillon 01 nonetheless shares the design elements of other Hautlence watches, including a complex, multi-layered dial. The dial base is decorated with vertical Geneva stripes, with the hour markers and minute track on a raised sapphire ring. Four large gilded screws secure the sapphire ring to the dial, while the tourbillon is visible at six o’clock. Shaped like an inverted “V”, the tourbillon is a familiar one. That’s because the movement comes courtesy of H. Moser & Cie., the other watchmaker owned by Hautlence’s parent company MELB Holding. The same calibre is found in Moser’s Venturer Tourbillon Dual Time. The HMC 802 movement is automatic, with a second time zone function indicated by a smaller hour hand. That second time zone hand, as well as the hour and minute hands, are made of red gold. 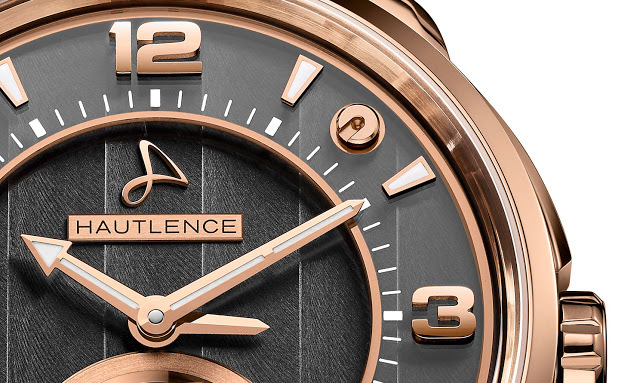 Comprised of both titanium and pink gold, the case is a large 44mm in diameter. Its bezel and lugs are in 18k pink gold, while the case band is black-coated titanium. 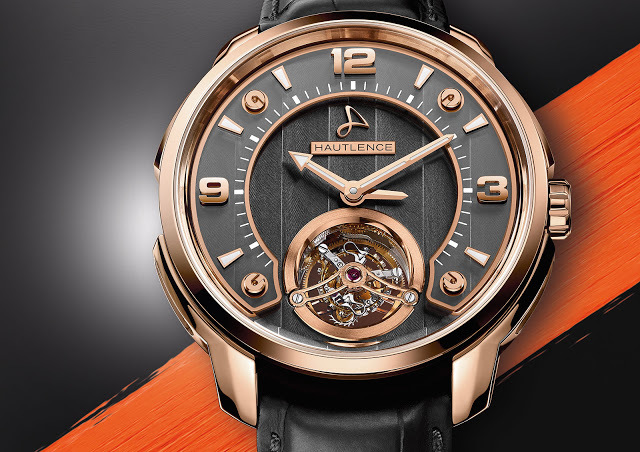 The Hautlence Tourbillon 01 is priced at SFr88,000 including Swiss taxes. That’s equivalent to about US$91,600.